NEXT | If you could change one dungeon what would you change about it? In a recent hotfix, Blizzard has changed the rewards from emissary caches in Battle for Azeroth to allow their Azerite Armor to scale up as high as ilevel 370. This is part of a larger push to fix some of the issues that players have with the Azerite Armor system. This hotfix aims to provide more paths to good gear once you’re at a high item level. Supply and options are low for players who have gotten above 340 — it’s just too hard to get a good piece of Azerite Armor that you want to use. Before this hotfix, the only sources of Azerite Armor that dropped above 340 were raiding, PVP, and the weekly Mythic+ caches. Combine that with how much better some traits were over others, and you had a gearing nightmare. Especially since Azerite Armor can’t warforge/titanforge to a higher ilevel, you’re stuck with whatever ilevel you get it at. It wasn’t out of the realm of possibility that you were holding onto a 340 you got in your very first Mythic dungeon, despite clearing high-level content weekly. There are also issues with how some traits can stack with each other and double up their bonuses — but others can’t. Just like the old reforging system, you may have to be checking outside talent calculators and planning sites to figure out of the new piece you just got is an upgrade or not. The hotfix makes it possible to get the higher level Azerite Armor… as long as you have a higher ilevel than the breakpoint. If you’re above overall ilevel 340, you’ll get 340 — but if you want to get the 370 Azerite Armor, you’ll have to get higher than that. Blizzard clarifies that this is overall item level, and you don’t have to currently be wearing the pieces. This also doesn’t affect the individual world quest rewards — it’s only coming from the daily Emissary turn in. On top of that, Azerite Armor is only one of the possible rewards from Emissary Caches. There are still War Resources, Artifact Power, and regular gear rewards — which only scale up to 340. While this improves the Azerite rewards, it would be nice to see their other rewards scale as the player got stronger. The hotfixes mean there’s still an element of randomness in the gearing — but at least it’s a step in the right direction. 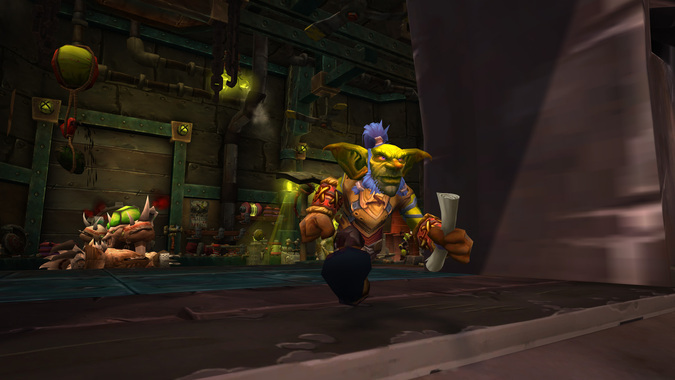 There are plans to further revamp the system down the line — with new pieces in 8.1 having better spec-specific gearing options — that give you more flavor for your class. Hopefully, moving the Azerite gear closer to the feel of the Legendary pieces from Legion. I’m still not happy with how the Azerite Armor has turned out, but at least Blizzard has shown that they’re willing to start the ball rolling on changes to get it right.